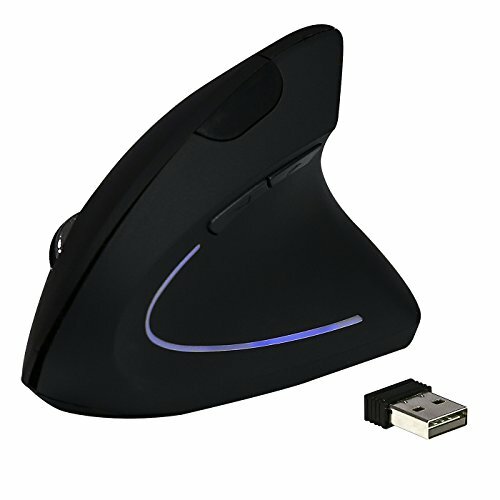 Work longer and more comfortably with an ergonomic and healthy wireless vertical mouse. Handshake style orientation allows your wrist and arm to rest at a more natural position, reducing strain and discomfort. Ergonomically designed thumb rests and grips fit the contour of your palm for maximum comfort and support.